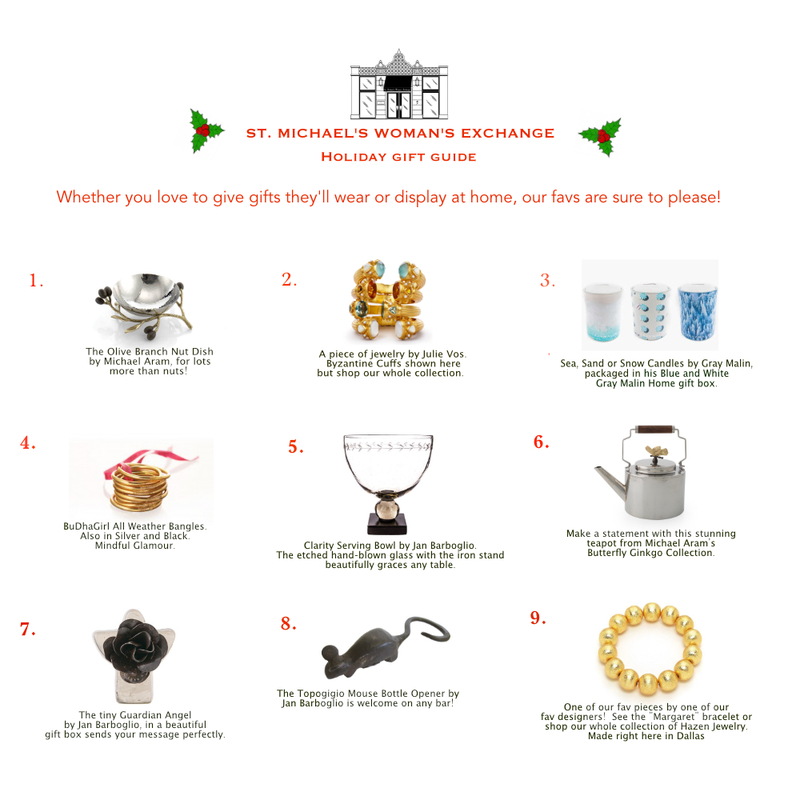 We've gathered some of our favorite things from around the store to help with your gift-giving decisions. Whether your prefer to give gifts they'll wear or gifts to adorn their homes, we've got you covered. And we have so much more from each of these designers! We know your friends and family will love receiving gifts from a store that gives its proceeds away each and every year. Worthy agencies which literally change the world for those they serve receive our profits. (See the list of current beneficiaries on our website) So the more you shop, the more good we can do together.